Mahjong Magic Journey is rated 4.2 out of 5 by 6. Rated 5 out of 5 by hobo11 from Great Mahjong Loved this game. Has trophies and I like that because it is fun to see how many you can get. I am one of those that if you need 3 stars than that is what I try for. Have to admit some Mahjong games when you have to complete in x amount of time scare me. My fingers and my computer are not all that quick sometimes. This game is great because it is possible to achieve without killing yourself. 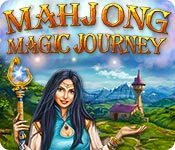 Rated 5 out of 5 by pennmom36 from A Magical Mahjong Journey I'm a fan of this kind of Mahjong, I really am, I enjoyed the pirate theme, I liked the magician theme and I like this dragon magic theme. But even I have to say "can we move along please" can we try to design something totally new? As with the other two recent (very recent) releases, there are 6 levels of difficulty from apprentice to master. Within each level are 20 rooms with various tile layouts. You can choose from 3 different tile sets, dragons, numbers and classic. There are 12 trophies or achievements to earn and there is a feature that allows you to highlight available tiles, but that kind of defeats the skill part of it. Each level is timed and you need to complete the level within a set amount of time in order to earn the 3 gold stars that are available in each room. The game is complete when all gold tiles are matched even if regular tiles are still remaining. Don't get me wrong, I like this game, I just think they need to stop releasing the same game that has been tweaked a bit to appear new, enjoy! Rated 3 out of 5 by JustTheFacts from Our Monthly Mahjong Cookie BASED ON DEMO This is another standardised mahjong game from 8 Floor. Seems we get a new one each month, and the only difference is the graphics and the shape of the boards. 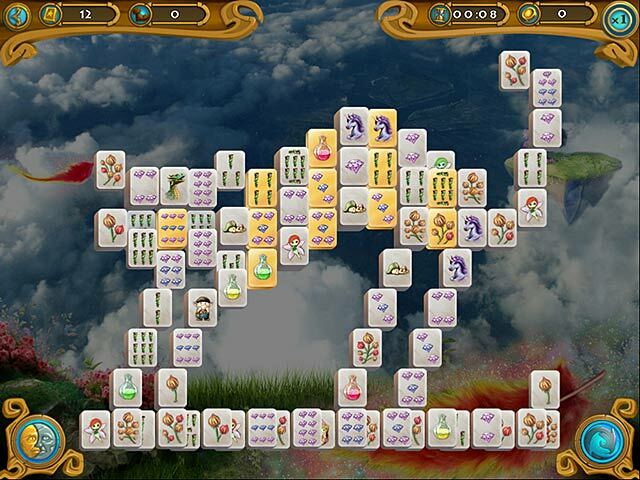 The ‘story’, which determines the nature of the 6 backgrounds, one set of the tiles, and the name given to each chapter, is of a magic journey to find 6 lost magical animals. The first is a unicorn. It is all very pretty, but totally unoriginal. 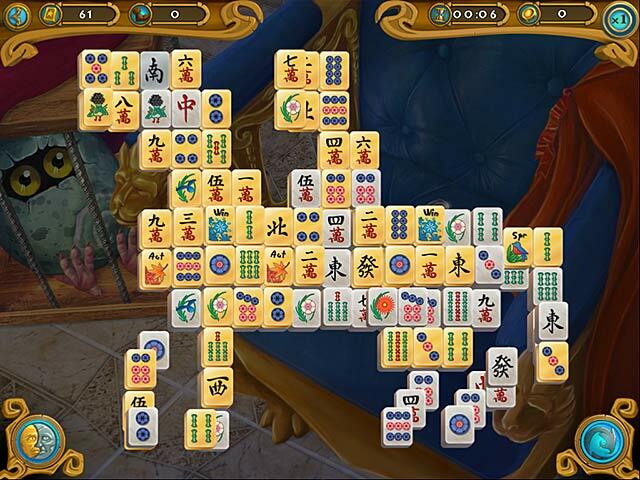 The game has the standard features of all of their mahjong games. 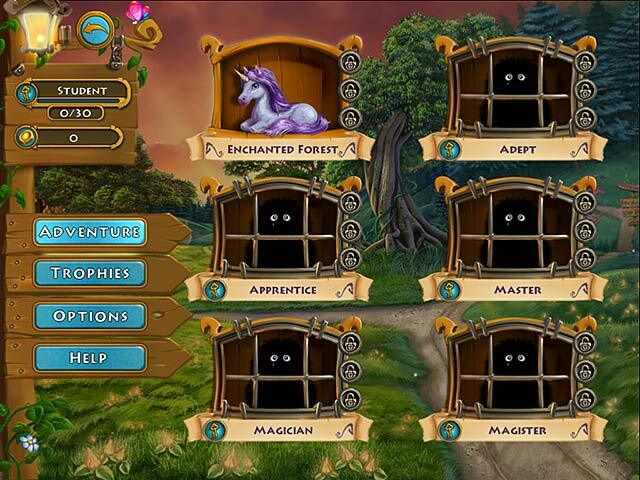 This includes: • 20 different boards x 6 locales (from Enchanted Forest to Magister) = 120 levels • Objectives for earning stars (time, number of steps, points, number of gold tiles retrieved) • Silver bonus tiles that automatically fill your multiplier meter • 6 Magic-themed board designs • Shuffle option • 3 types of tiles – original, magical fantasy and large print numbers (The magical journey tiles are disgustingly cute) • High scores and Trophies • Unexceptional relaxing and ‘pretty’ music • Boards shaped to the theme. To progress through the levels you must meet the goals set for each board. These are: 1. Remove a certain number of gold tiles (the more non-gold tiles left at end of play earns more points) 2. Receive so many points (points are awarded on time taken between moves and involve a multiplier) 3. Complete the board in a set number of moves 4. Time taken to clear the board The board is finished once the number of gold tiles is complete. Points can be multiplied by increasing the speed of your play, the moves set are not necessarily the minimum possible (yet at least), but they are a challenge after the first few boards. If you do not reach all the goals in one try, say you didn’t have enough points but the other goals were reached, you can replay it focussing on the points and no need to repeat your performance on the other goals. What I didn’t see was an indication of the number of matched pairs available. I really love this feature. But the game does have an option for showing the clear tiles. It also doesn’t attempt a story, other than the naming of the various locations. Which is good or bad news depending on your preferences. I liked that, though not a widescreen game, it catered to wide screens by having wallpaper on the sides. This could have been more related to the so-called story. This is a more traditionally peaceful game than their offerings, and it is pretty. But it is oh so, same old, same old. Which must be appealing to someone, because they keep on doing it. I neither recommend or not. This game is what it is. Solve Mahjong puzzles and rescue magical pets from the clutches of a cunning thief!